Here's the real reason SeaWorld wants to expand its orca tanks: so it can get more orcas. SeaWorld San Diego announced its plans to renovate its orca tanks last year, heralding the expansion as a huge step forward for the "health, safety, care and wellbeing" of its captive orcas. 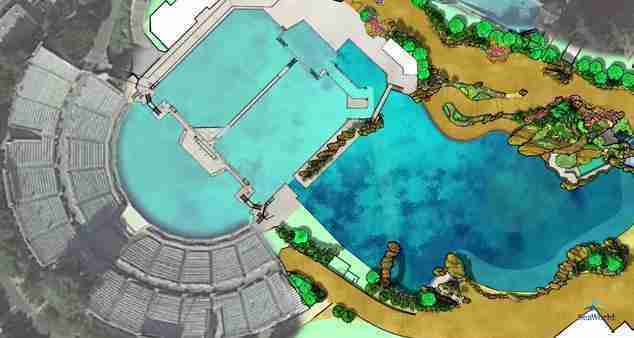 It's been met with opposition by animal lovers, who've called the expansion a distraction from the problems with keeping orcas in captivity, and noted that the new plans would less than double the size of the tanks. But a screenshot taken from SeaWorld's website shows that those new tanks might be even more crowded than previously thought. SeaWorld's orcas are already perilously cramped, leading to sometimes deadly infighting among the whales - which almost never happens in the wild. Many of the park's orcas are covered in rake marks from tank mates' teeth. And while orcas can swim up to 100 miles every day in the wild, SeaWorld's orcas can swim just a few body lengths at a time. And now it's clear that the expansion might not alleviate these problems at all - rather, it will just give SeaWorld the space to fill up its tanks with even more unnaturally bred captive orcas. 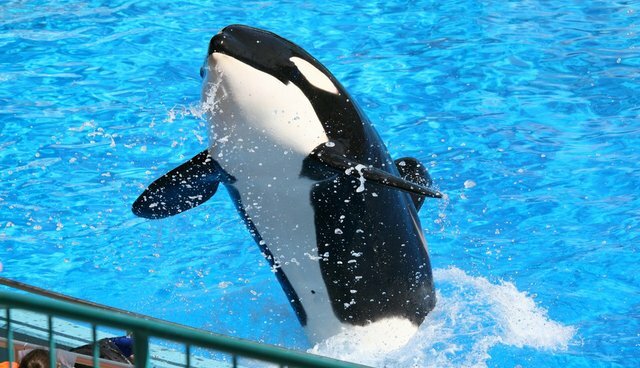 Despite SeaWorld's efforts, it's becoming increasingly apparent that this expansion would just be a PR facelift for the park's orca prisons: The orcas still won't have the space they need, and even more whales will join in their captive suffering. If you'd like to tell the commission not to give SeaWorld room for more orcas, you can write to them at seaworldorcafacility@coastal.ca.gov. You can also click here if you'd prefer to send a form letter. If you'll be near Long Beach, California, on October 8, you can also show your support for the orcas by attending the public hearing.